This funny, friendship quote hanging sign is great as a gift. We all have friends this is fitting for. 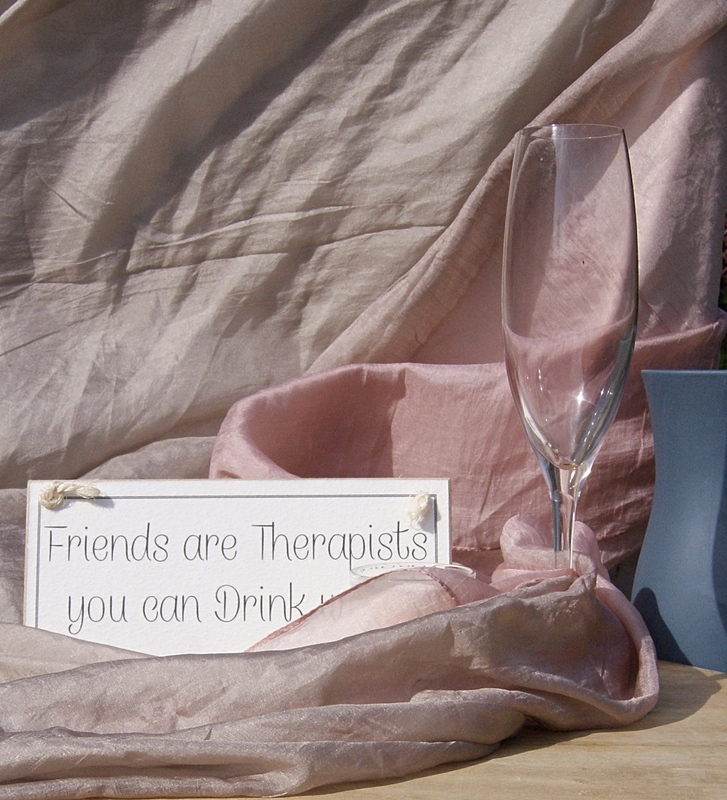 These signs are hand-made by Clara in her workshop in the UK. 100% British, the signs are a great addition to the home and make a lovely present. 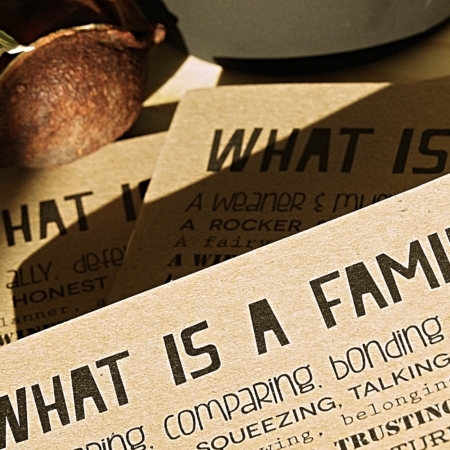 Painted in white paint with black typography, they look lovely in offices, kitchens and bedrooms. 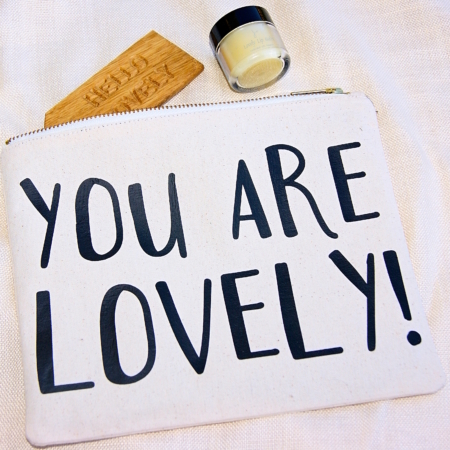 This sign arrives carefully wrapped in ethically sourced gift wrap. (Please Note: These signs will not survive the elements if left outside). 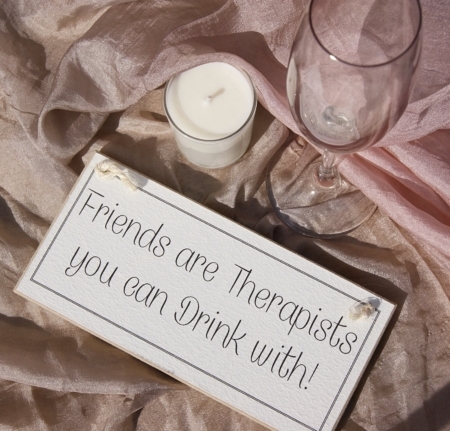 Friends are the Therapists you can Drink with, sign. 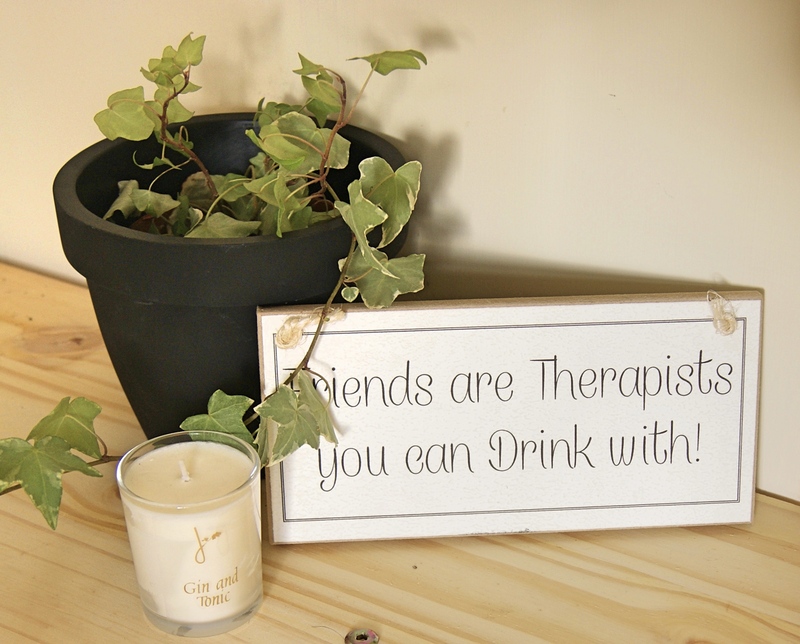 This fantastic friendship sign is a lovely addition to the home. 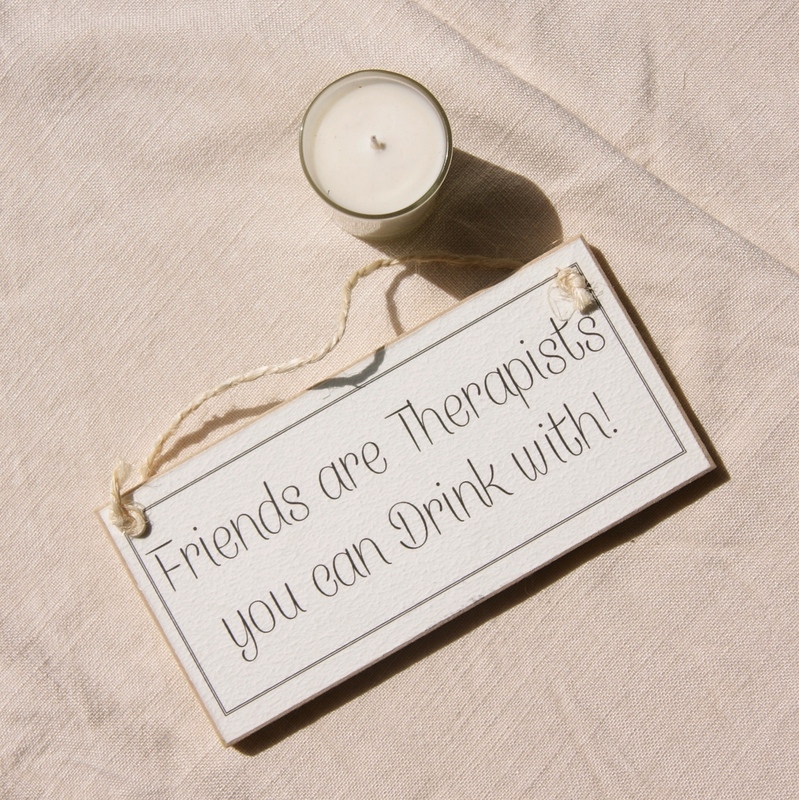 It also makes a great gift, whether for birthdays, or to thank the friend that is always there when you need a chat and a glass of something. Painted in white paint, black typography, lightly sanded for that rustic look, varnished to protect from moisture but if left in the rain it will not survive the elements. Dimensions: Approximately 20cm x 9.5cm. Material: Wood, paint and sisal string. Provenance: 100% British, handmade in Kent by Clara.